Call it instinct, but something, perhaps programs in their genes, compels some animals to behave in striking ways. 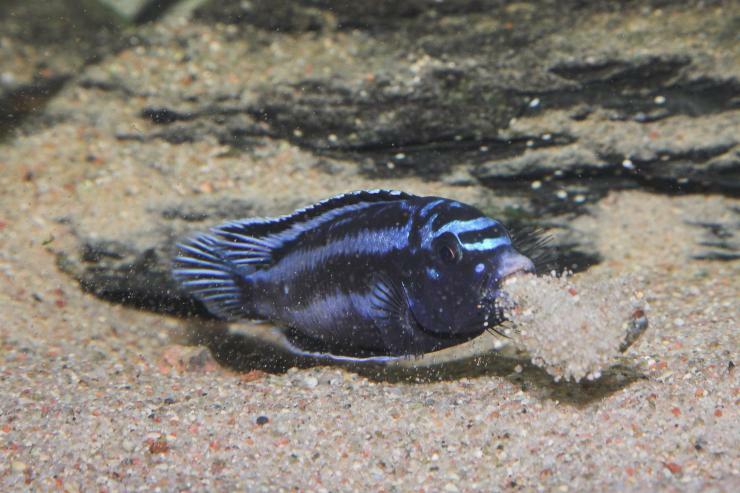 Take boy fish who tirelessly build sand structures to attract girl fish: Researchers have now connected gene activity with this instinctive behavior. The scientists at the Georgia Institute of Technology and Stanford University who led the new study hope in the future to see if some behaviors are indeed genetic programs and if gene regulation is clicking off neuronal firing patterns in real time to create behavior. 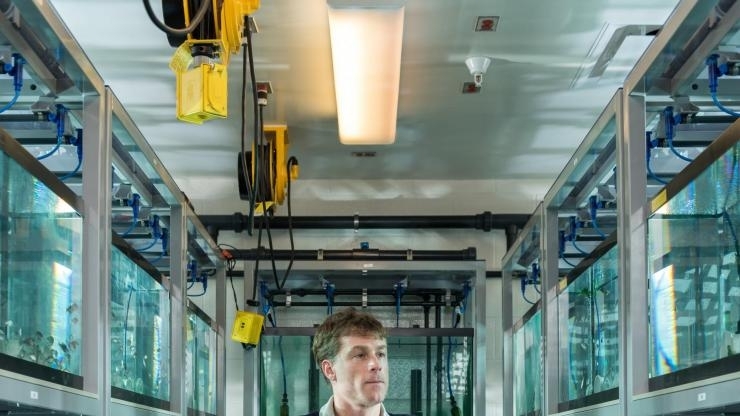 The research also may contribute to a better understanding of autism because the genes behind the fish behavior have human cousins that are implicated in autism spectrum disorder. 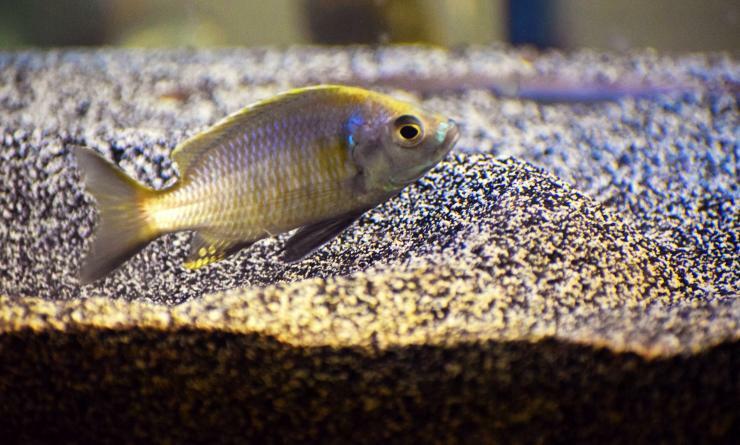 And some typical autism behaviors like “stacking,” in which a child compulsively arranges objects into neat rows or towers, have parallels in how the fish, called cichlids, repetitively pile up sand to make symmetrical formations. 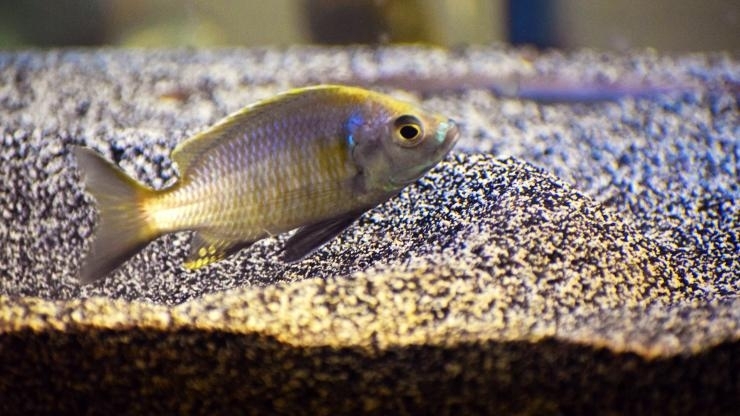 But for now, the researchers explored male cichlids trying to attract a mate in Lake Malawi in Africa and found that the regulation of specific genes and associated repetitive behavior occurred nearly hand-in-glove, a novel discovery. 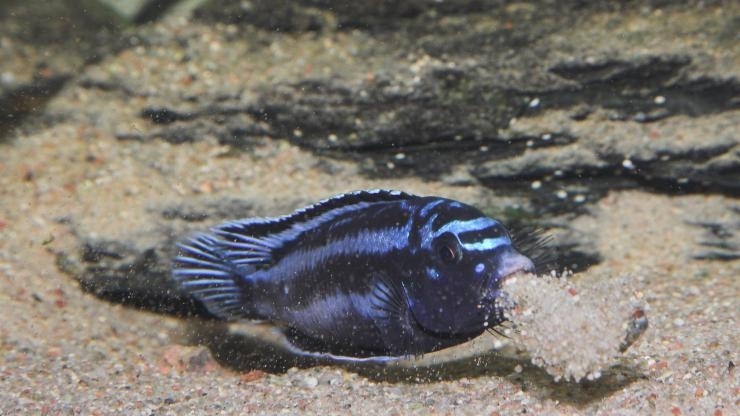 Boy cichlids knock themselves out building stuff out of sand to impress girl fish ready to mate. Most of the cichlid species’ guys build a pit, or crater, and other species build a castle. Both pits and castles are known as “bowers” and require the male fish to swim in the same circular way, scooping up sand in one place and spitting it out somewhere else. The difference is that the pit builders scoop up the sand from inside their swimming pattern and deposit it outside, leaving a hole in the middle of the bower with a raised rim surrounding it that makes the bower resemble a crater. Castle builders scoop the sand from outside the circle and deposit it inside. That creates a raised structure in the middle of the bower, making it resemble a volcano. “A switch goes on once the females become reproductively active. 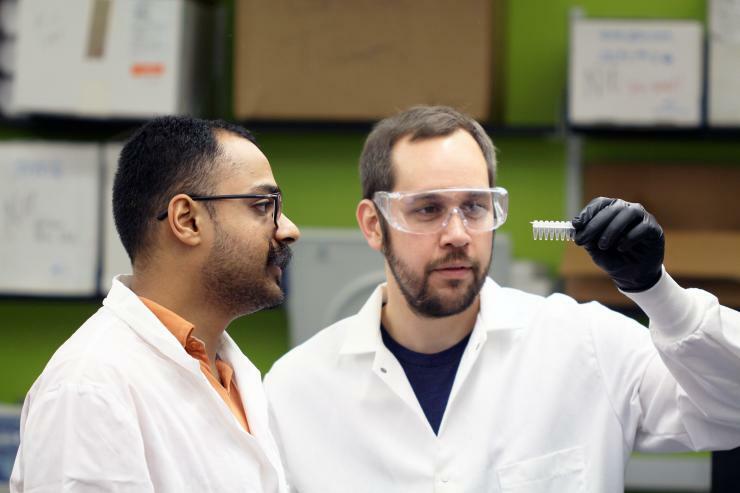 Suddenly, the males begin scooping and spitting thousands of times to build their structure,” said Zachary Johnson, a postdoctoral researcher in Streelman’s Lab. Johnson was a co-author on the new study and Streelman a co-principal investigator. “Various species make their pits and castles in a common area, and structures have to be very specific, so the right female species can see, ‘This is the guy that I want’ compared to the other guys from other species that build the other thing. And she then has to pick the specific guy she wants from her own species,” said Chinar Patil, a co-first author of the study and a graduate research assistant in Streelman’s lab. 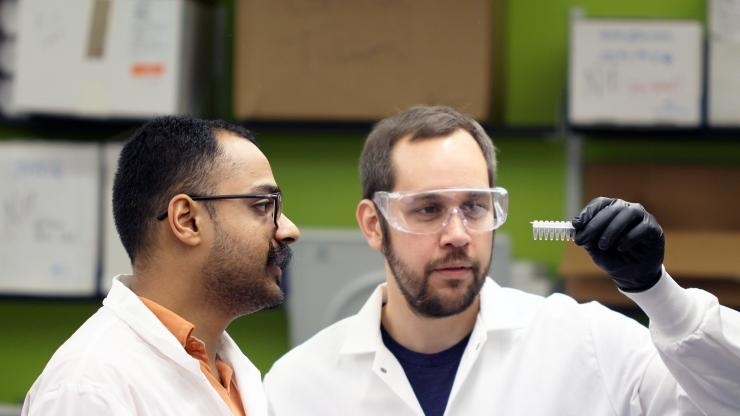 “A lot of genes in the pit copy got up-regulated while the fish was in pit-making mode and the castle copy got up-regulated during castle-making mode,” Patil said. The genes and the behavior got visibly “turned on” and “tuned in” in tandem. The difference in expression of either pit vs. castle genes was less of an absolute click-clack-on-off switch and more like inching one set of levers down on an audio mixer while tuning up the other set to a dominant level. This was the study’s big achievement, which almost sounds like genes directly creating behavior, but that’s unconfirmed as of yet and could be the topic of future studies. The study also brought new insights into genetic evolution in tandem with behavioral evolution, about which little is known. The genetic component may center around gene regulation in response to what’s going on in the animal’s environment in this case when females are ready to mate. Pit making appears to be the evolutionarily older and better-established bower building behavior, and castle making is widely accepted as being the newer evolutionary development. But pit and castle species have very similar genomes, so where’s the evolutionary change? When the team sequenced the DNA of pit and castle species, it was differences in regulatory genes that stuck out, and many up-regulated specific other genes connected to the respective bower building behaviors when mating time hit. 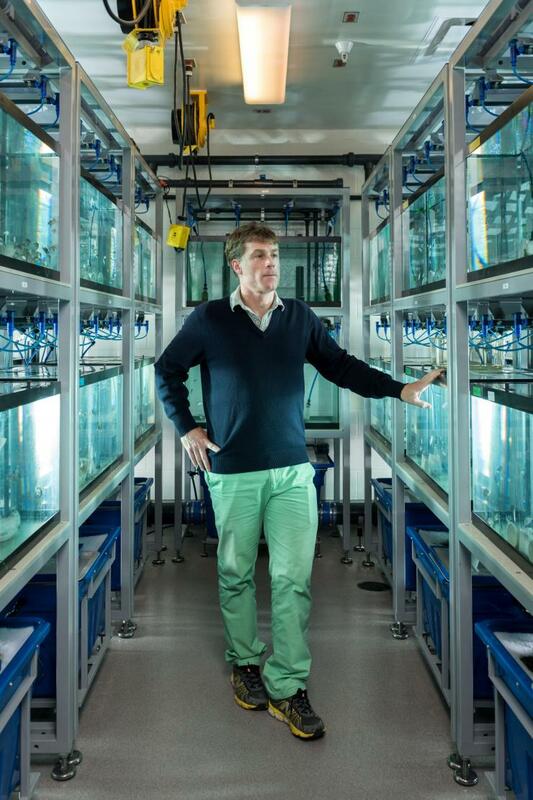 It appeared the evolution of the regulatory genes was linked to the evolution of the behavior. The following researchers also co-authored this study: Ryan York, Hunter Fraser and Russel Fernald of Stanford University; Kawther Abdilleh and Patrick McGrath of Georgia Tech; Mathew Conte of the University of Maryland; and Martin Genner of the University of Bristol. The research was funded by the National Institutes of Health’s National Institute of Neurological Disorders and Stroke (grant R01NINDS034950), the National Institute on Aging (grant R21AG050304), and National Institute of General Medicine (grants R01GM101095, 2R01GM097171-05A1, R01GM114170). Findings, conclusions, opinions, and recommendations in the material are those of the authors and not necessarily of the funding agencies.